At Rittners Floral School we enjoy the uniqueness of many botanicals. Each flower, each foliage, contributes it's own special aspect to the floral art in which it is incorporated. The Rose is one of the most beloved flowers of all time, and so it should come as no suprise that we would want to feature this wonderful and amazing flower. 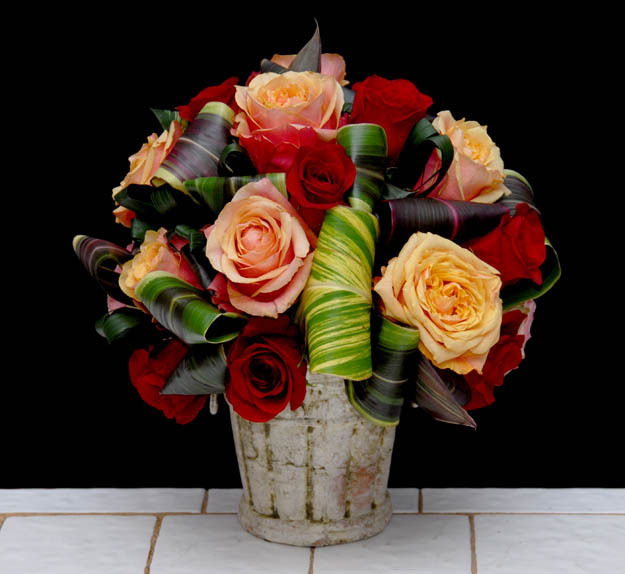 In this inspirational video we show a variety of flower arrangements using roses that go beyond the traditional 12 flowers in a glass container. The amazing roses here are from Cananvalley Farms. We hoped that you enjoy watching this video as much as we did making and presenting it!